Hot off the press – well here in the UK anyhow – an album release that cracks the code. 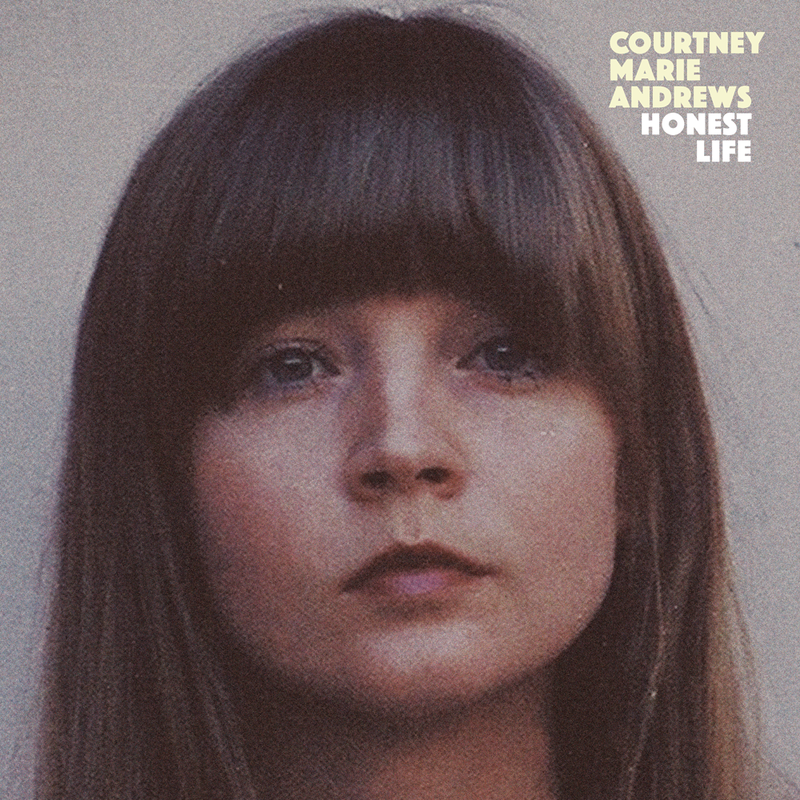 The new solo album by Courtney Marie Andrews raised its head in her native US last August and is set to do likewise in Europe courtesy of long time progressive label Loose Music. HONEST LIFE exposes its raw credentials in a succinct manner and explodes into a record ripe with song writing sublimity. The sweet spot is easy to detect as it runs like a streak through tracks one to ten. The underlying trait that makes this album such an appetising listen is the way it weaves in the roots music union of country, folk and Americana features. 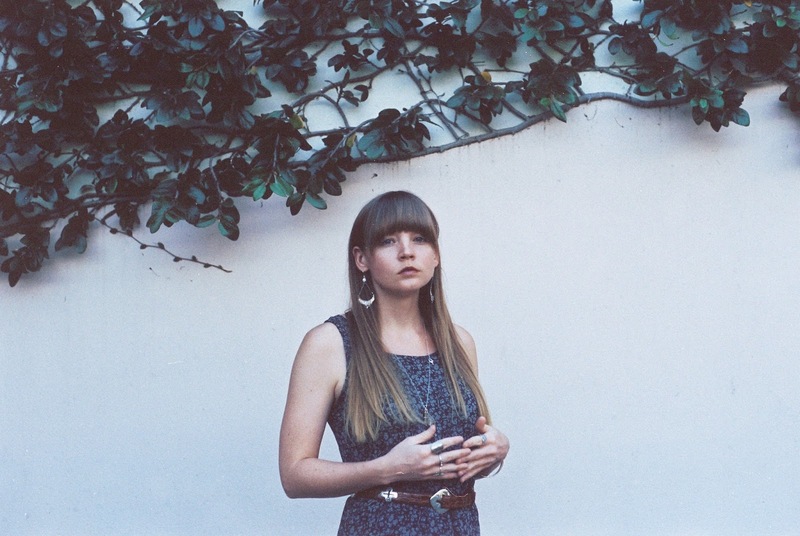 The lyrics are powerful and rich in a textured structure; pedal steel and piano primarily drive a subtle soundtrack; the endearing vocals are reminiscent of a hybrid Joni Mitchell-Emmylou Harris. This may or may not align generally with Courtney’s past which has been documented as playing guitar roles in rock bands. This striking out has emerged alongside a personal re-settling in Washington state and creating the space to reach deep into her untapped inner inspiration. “The jukebox is playin’ a sad country song / For all the ugly Americans / Now I feel like one of them / Dancin’ alone and broken by the freedom,” – ouch! but representative of the pulsating way in which Courtney pens her thoughts, musings and observations. In fact devouring this album head buried in the lyric sheet is a useful introduction along with the temptation to connect personally via a record that doesn’t really require you to share the listening pleasure. This emotive verse is extracted from the track ‘How Quickly Your Heart Mends’ which reigns on an exalted plateau with its nine co-songs, all assumed to have a solo write origin. The bookend tracks to HONEST LIFE are dominated by their towering strength with the piano being a recurring instrumental theme. Opener ‘Rookie Dreaming’ jumps out with a striking lyrical structure resembling Danny Schmidt at his best, while the blinding closer ‘Only in My Mind’ possesses such feeling in the voice, developing mini anthem tendencies. The title track resides at the core of the record and has the general feeling to melt the listener at every opportune moment. The guitar intro adds to the value of the track as does several subtle pedal steel pieces across many others including the deep thinking ‘Let The Good One Go’. Of course the personal lyrical themes are going to call at some of life’s darker moments such as loss, regret and loneliness, well this album does have one foot firmly in the camp of the sad song country genre. ‘Table for One’ is an explicit example of this and is destined to win any new listener over from the first line. At the outset of this praise-fuelled review, an iconic singer-songwriter who has acutely straddled the invisible dividing line between country and folk music is namechecked, and definite strains of the Emmylou Harris classic ‘Red Dirt Girl’ can be found in the upbeat ‘Put The Fire Out’. Despite the associations, this album is wholly owned by Courtney Marie Andrews who can use this stratospheric base to build a considerable career as an influential singer-songwriter. The way she engages you into songs like ‘Irene’ via a magnificent structure makes for compulsive listening. Second track ‘Not the End’ captures perfectly the mood of the album's general theme of reflective fear and lamentation. ’15 Highway Line’ is the tenth and final song of this precision formed album, though holding the number nine position in the track ordering, and is best remembered by the metaphoric line ‘but if fate is a dart that you throw at the map’. Avid listeners will lap up the extensive merits of HONEST LIFE and there is a guarantee that many will fall in line with these enthusiastic sentiments. Courtney Marie Andrews has announced her arrival to a new audience base with the release of this record which ultimately presents: one voice; a variety of messages and a multitude of superlative appeal.